Steven Thompson, from the Royal Institution of Chartered Surveyors, explains why it can be sensible to have a contract, and what type you might need for a self build project. 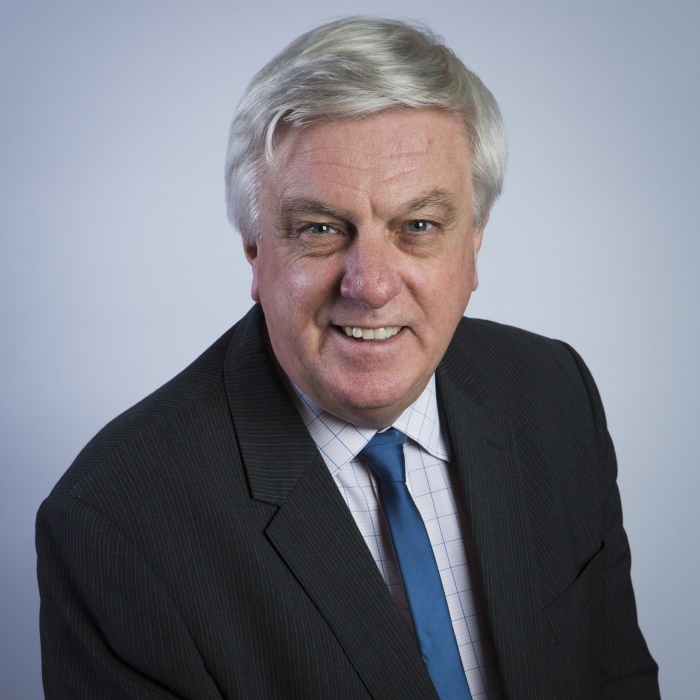 Steven Thompson is a Chartered Surveyor and has worked in the construction industry his whole career. He advises professional clients about their projects, particularly when it comes to the financial management, but also the contractual arrangements that apply. Although you don't need to have one, it's certainly a nice to have. A contract can even be verbal although the absence of anything on paper could run the risk of either side denying that something has been agreed. Having this scenario may or may not work in your favour. Some contractors might be scared off by having a contract as it might be perceived to be to their advantage if they're able to leave things as undefined as possible. Steven suggests approaching them with “I intend to use a contract – you're still on board aren't you?”, instead of simply asking whether they are happy to use a contract. On balance, for security and clarity, it is probably better to have a formal contract which lets everyone know where they stand, and forms ‘the intentions of the parties'. In a dispute situation a Judge would form a decision based on what they think was likely that the parties had intended. In some situations, such as a self-builder who is doing all of the work themselves, then these contracts won't be appropriate and will be totally over the top for what is required. Steven uses the example of buying supplies in a hardware store where the receipt forms the agreement between the parties. The larger the project, the more sensible it would be to have formal contract terms in place. The chosen contract will also depend on the type of contractor you're dealing with and the nature of the contractual relationship. 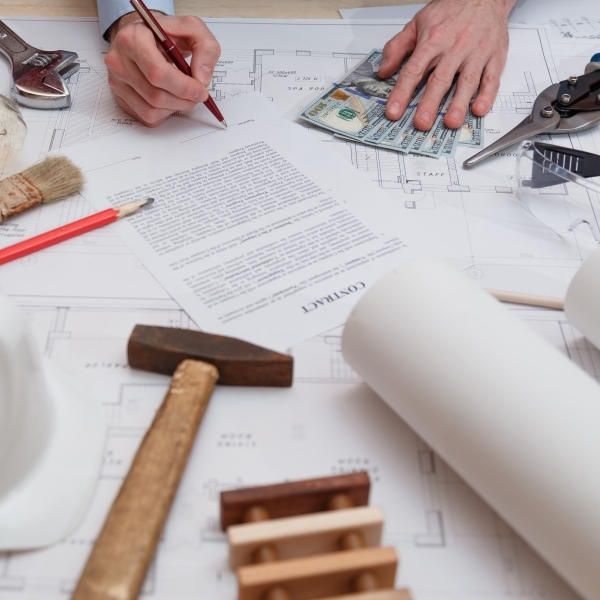 One overall project contract might be appropriate if you're handing everything over to the contractor to deal with, whereas something else would be required if you're project managing yourself and employing trade contractors. Trade contract – a small construction contract between you and the contractor. It is similar to one you might have with a main builder, but instead you could have several of these with all the different trades being used. The downside of this is you're coordinating it all yourself, managing each of them independently and are responsible for sorting out any scheduling or other problems that may arise. ‘Labour-only' trade contract – an example could be where the client provides the timber that they have sourced themselves but requires a contract with a carpenter to provide labour at the right time to put it up. Labour-only craftspeople may not want wish to have a formal contract but instead be paid a set amount for each day's work. ‘Supply-only' trade contract – Steven uses the example of a ready-mix concrete company. They will supply the concrete under their terms and conditions, so there's not a lot of room for negotiation. You do need to be aware that it is still a contract and you do still have certain obligations. Material purchase – this covers items sourced, ordered and paid for by the client direct and delivered to site and off-loaded, for example the pieces of timber that will make up the frame or the roof tiles or the kitchen fittings. Again these will be on terms which the self builder has no control over and will be the merchant's standard T's & C's. One-off payments – this might be something like a fee payable to the Local Authority for Building Regulations approval. The contract in this case is governed by statute rather than by a contract that you write. Consultant appointments – a contract set out with your architect for example. If you're project managing the build yourself then you are likely to be coordinating all these different contracts in terms of timings and finances. An alternative would be to pay a consultant to look after it all for you. Price – clarity is needed as to whether the price is fixed, an estimate or budget, or a day rate. As Steven puts it, “there’s an element of needing to be smart and cautious about the use of terminology from builders, irrespective of what you ask for.” The contract will provide provisions in this section for how to value change, ie if a delay occurs which means the builder will be on site for longer. The price section of the contract will also need to cover when payment is made, ie in one payment at the end or in stages throughout. Programme – a defined start and finished date is required, not just a block of time. Without dates the contractor is only obliged under contract theory to finish whenever they can. In the contract you provide for the opportunity to make amendments to take account of delays and decide how they are dealt with, ie what happens if the contractor is late, whose fault it is, and when the package of works is deemed to be finished. Scope/Quality of Work – clarity is needed as to the exact extent of the work that is covered by that package of work, and the quality standard that is required, such that a pre-agreed benchmark quality standard is set out. At the end of the package of work, the contractor needs to be able to defend themselves if the self-builder says, ‘that quality of work is not good enough’. Somewhere, there needs to be a reference standard – ‘what does good look like?’ This would normally be a national (or international) published standard. In the UK there is the National Building Specification which is a model set of clauses which can be built into a contract as a reference point. The contract can also determine how defects should be dealt with. Further areas a contract should cover include: client changes, termination, suspension, insolvency, dispute resolution matters, insurance, warranties, retention amounts, damages, and the legalities related to how the contract is signed and the period of time that the self-builder has to take action. If you are employing a contractor to carry out all the work for you then a JCT (Joint Contracts Tribunal) contract might be suitable. They provide a whole range to suit different types of jobs, and a Minor Works contract might be suitable for a fairly standard scale of build. You can buy a pre-printed contract from them and fill in the gaps with your name, price, etc. JCT also produce a Homeowner contract which might be suitable for a renovation, refurbishment or extension of a property, rather than a new build. Professional bodies such as RIBA and RICS publish contracts covering consultant appointments. Supply-only and labour-only contracts which have been legally tested can also be found online. 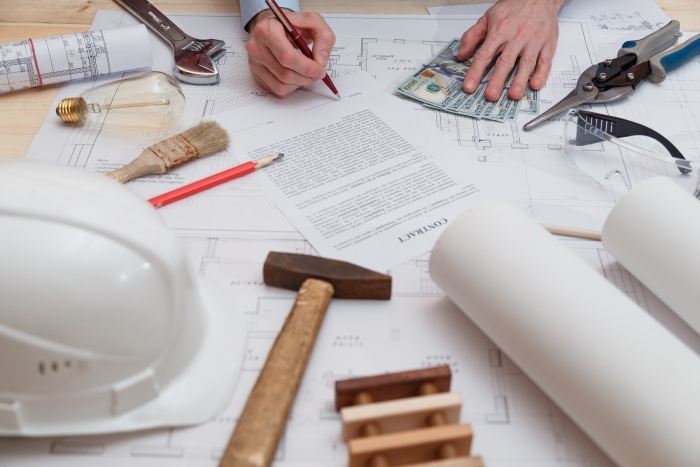 Ideally you will be able to solve any issues directly with your contractor, but if this is not possible then in the UK there is an obligation under statute to go to adjudication. Steven explains that “in the self-build environment, the issue at large shouldn’t be that large, complex and costly as to warrant anything more than a simple adjudication.” This would need to be paid for and should take around a month with an independent adjudicator deciding the case on its merits. If adjudication failed then the case would need to be settled in court. Download a transcript of the interview with Steven Thompson. Progestin withdrawal bleeding usually occurs within three uk valsartan to seven days..